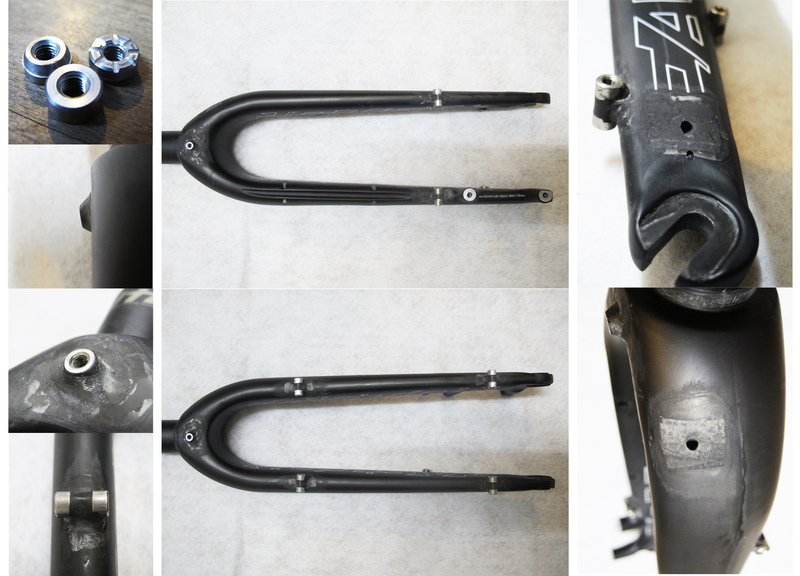 We have received a couple of carbon fibre forks to modify from Talbot Frameworks – mudguard eyes, pannier rack mounts and dynamo internal wiring. All stainless steel parts has been modified by using our beloved British heritage Milford lathe, in order to ensure maximum grip. Then bonded using structural compound and re-enforced with freshly made Toray pre-preg. Internal wiring has been re-enforced both – internally end externally. And of course, everything has been heat treated (baked) at our workshop in The Wick. We hope that our work will outlive us. P.S. We will update images once forks are re-sprayed.